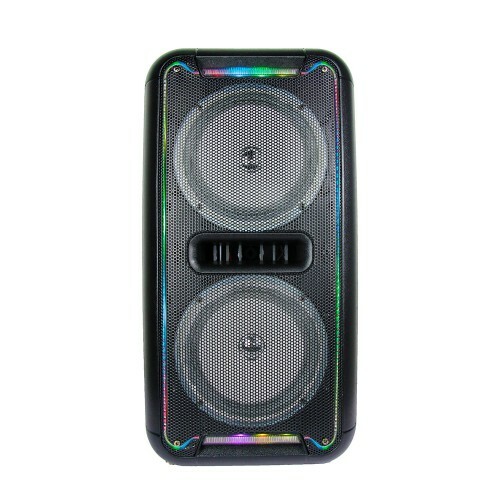 The Laser Super Bass Wireless speaker makes the party portable. With a rechargeable lithium battery you can take your speaker with you. This Laser party speaker is ideal for large parties and venues, Attach your own microphone or guitar to amplify your speech or music across the crowd. Play MP3 music and FM radio while the rainbow colour-changing LED lights accompany the audio. 3 key feature benefits Built in battery. Guitar and Microphone inputs. Connect via Bluetooth, USB and SD Card.